Mega Meet - May 2009 - The Anniversary run. Just I had a year previous, I organised the ride through the DeauvilleUK Owners forum, with riders meeting up at Cromford Mill near Matlock, Derbyshire. The ride followed virtually the same route as it had the previous year. The changes made to the route were after Chatsworth House, where we missed out on Chesterfield (where we stopped in 2008) to make sure that we got to Stratstone Motorcycles at Clay Cross before they closed. In the end we got there just as their cafe was about to close, but with around 18 riders all looking to spend money on tea/coffee/pop/cakes/choc bars/etc... the staff stayed on for an extra 20 minutes to serve us all - excellent. 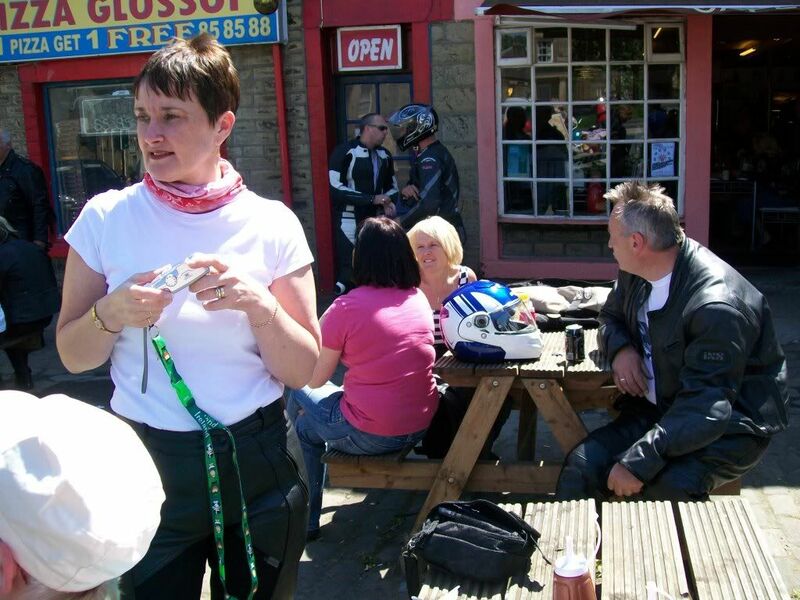 We all had a good butchers at the bikes in the showroom before heading to ride-out end at the Mining Museum car park in Matlock Bath, where we met a couple more of the forum's members (BikerChick & El Burgman). More chat, more cuppas, before going our seperate ways. There is a footnote to this ride-out, Allan & Jane decided it was time to upgrade and traded in their 650 Deauville for a Yamaha FJR they saw at Stratstone's. Another fun ride-out and no accidents. 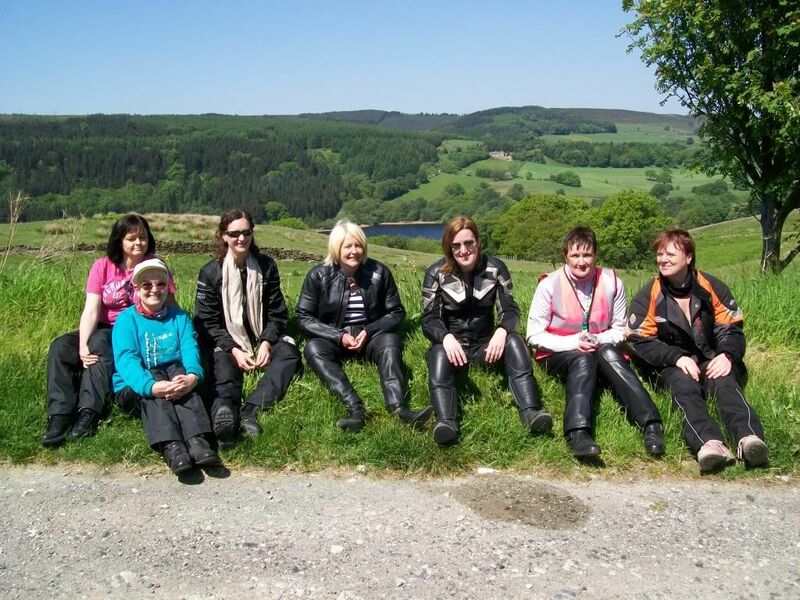 The ladies in the group near Fernlee Reservoir. 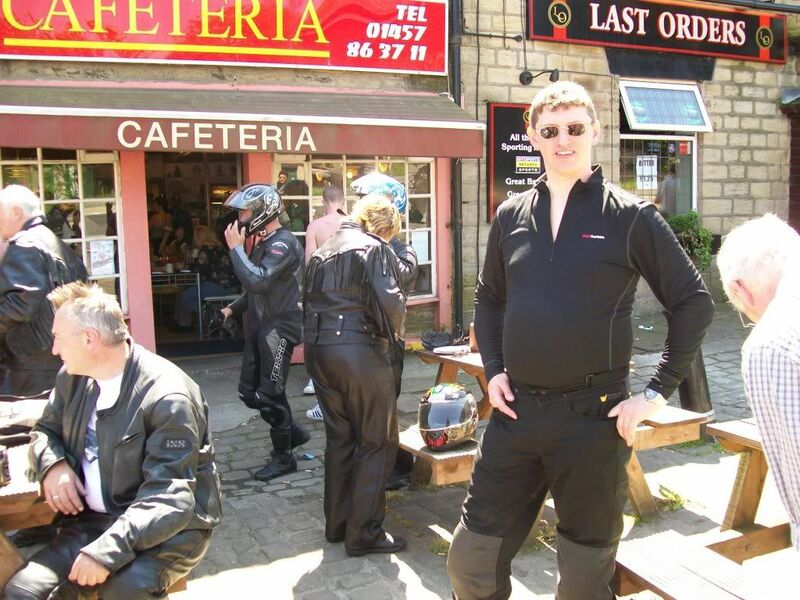 Rob outside The Cafeteria, Glossop - they welcome bikers. Allan (left) outside The Cafe. 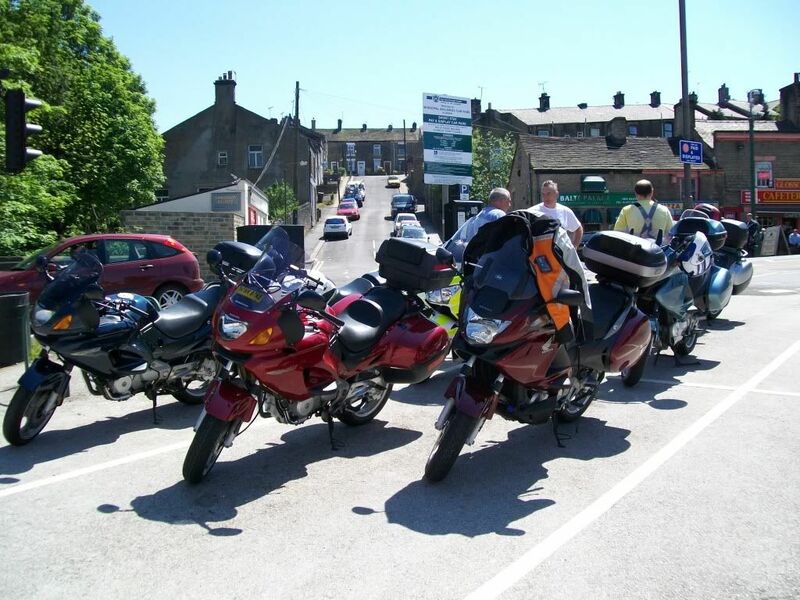 The bikes parked up in Glossop. Again, the bikes parked up in Glossop. 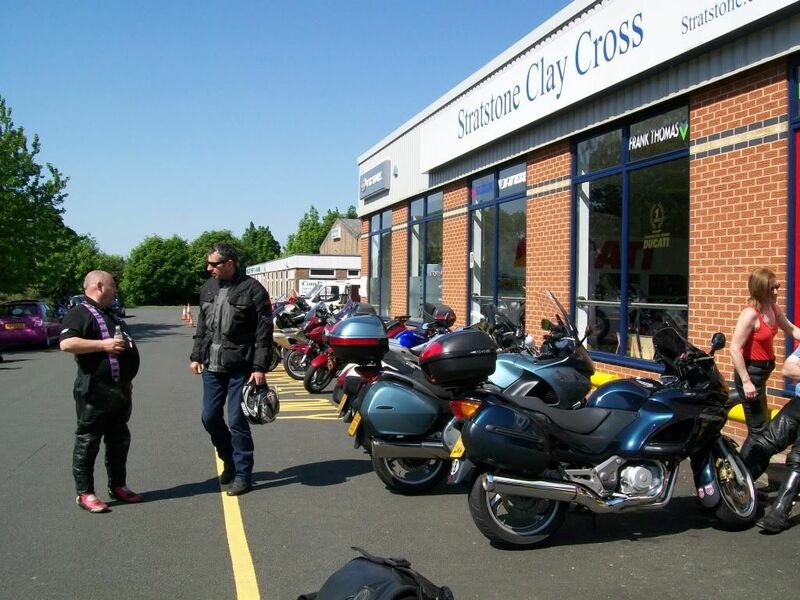 Stratstone Motorcycles, Clay Cross, Derbyshire. 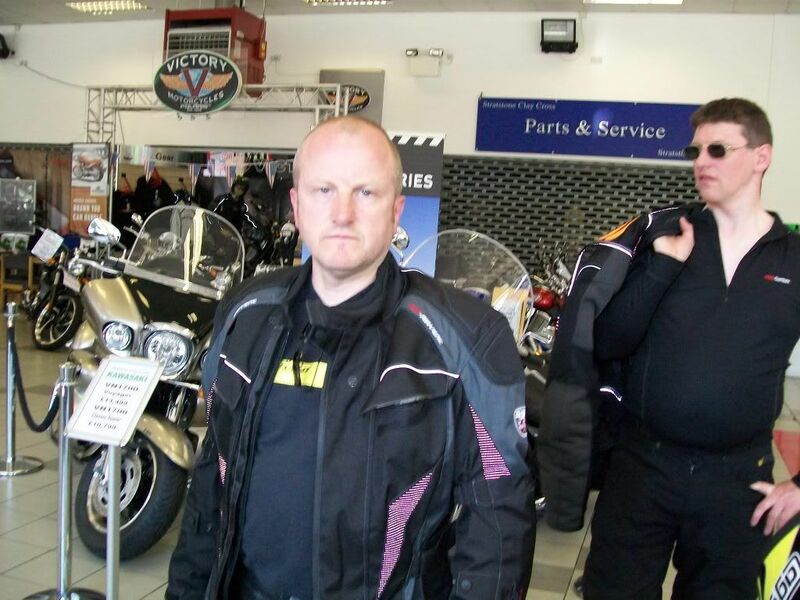 Neville & Rob in Stratstone Motorcycles. 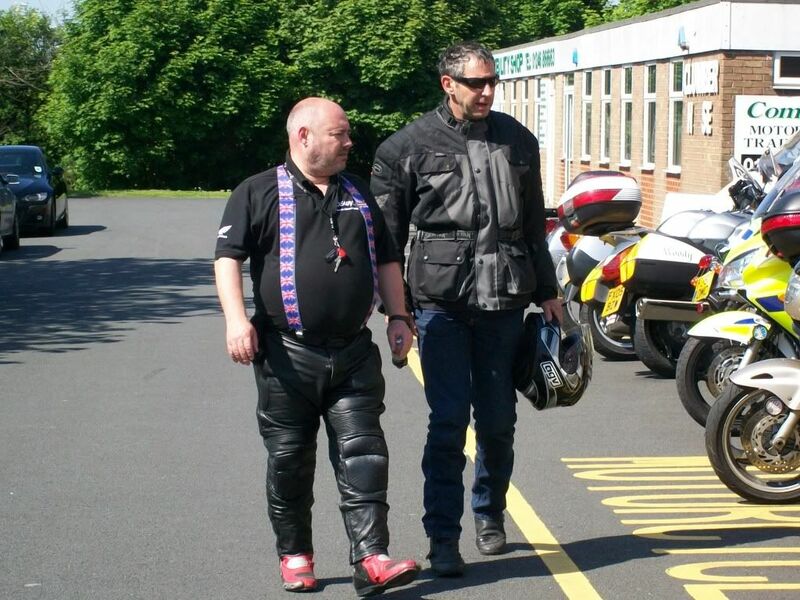 Bob (left) outside Stratstone Motorcycles. 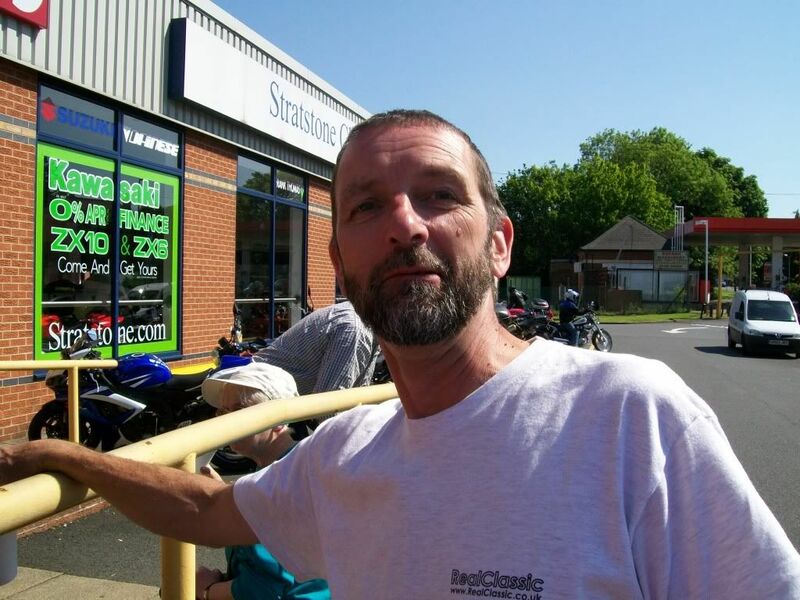 Steve A outside Stratstone Motorcycles.